This is Anja. 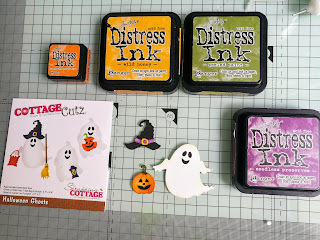 The new dies finally arrived and they are so much fun. The new designs are really beautiful. 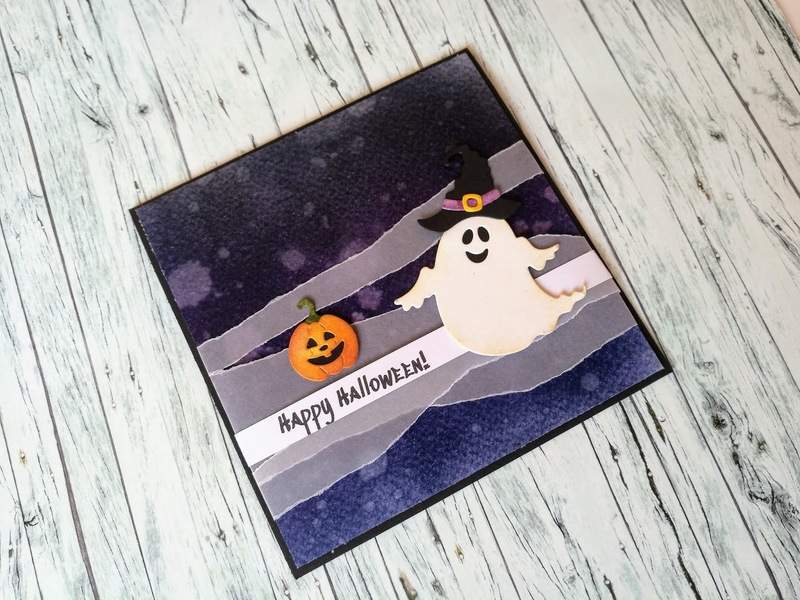 First I made a Halloween card, using the Halloween Ghosts die. First I made the background. 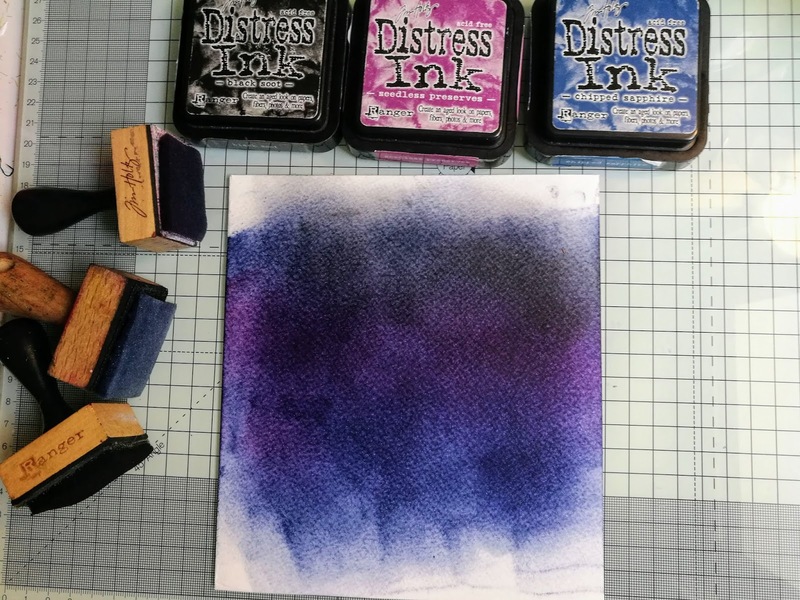 I used three shades of Distress Inks and blended it together. Then I used water spritzer to add some interest. 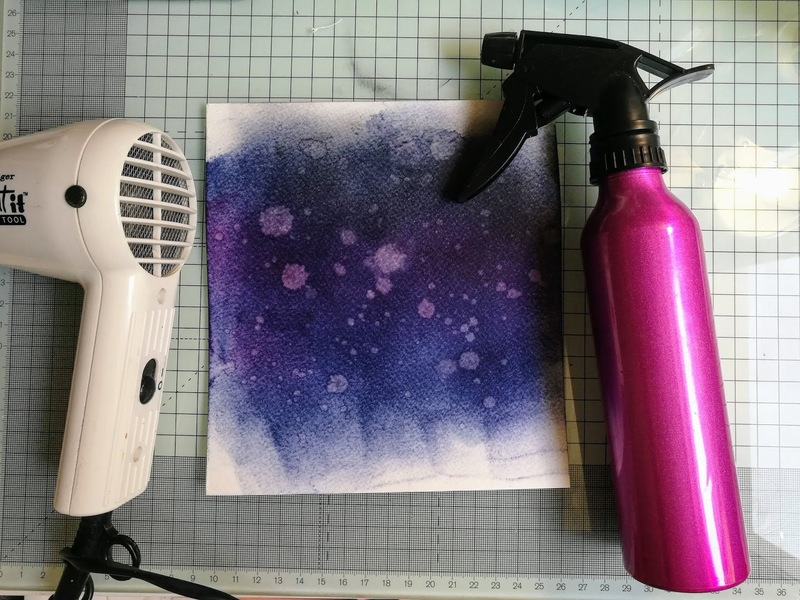 I dried the paper with the heat gun. 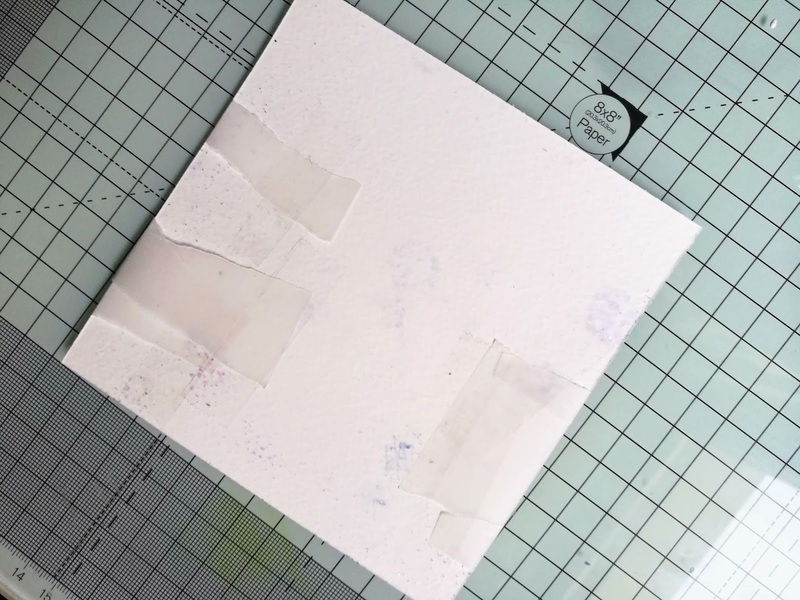 I cut the paper to fit the card base. Next I cut the ghost and colored it with Distress Inks. I used white and black card stock. For the background I used vellum paper. 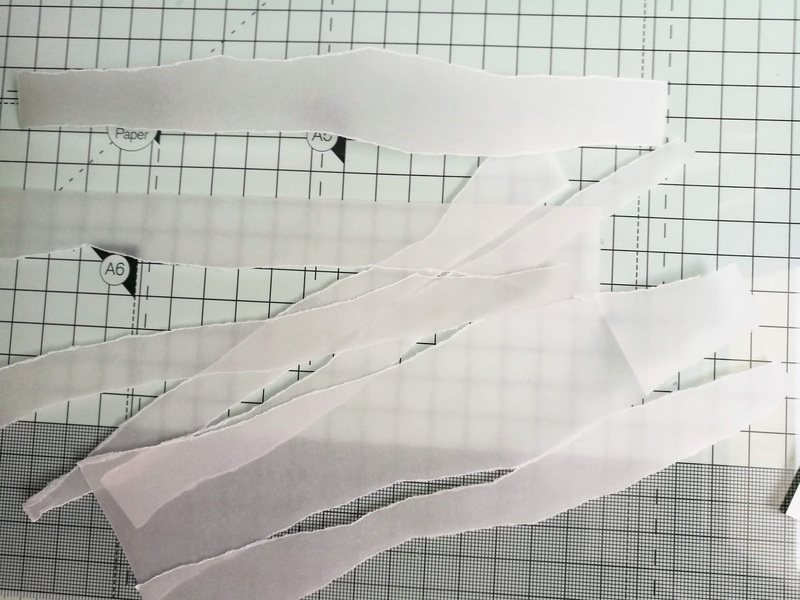 I made strips of paper. I arranged it on the colored side and taped it in the back. I printed the sentiment and taped it on top of the vellum paper. 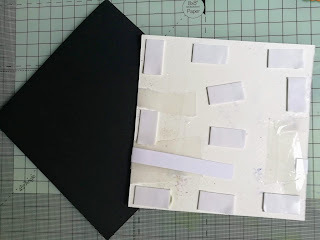 I cut and made a black card base. I used adhesive foam pads to tape the background on the base. Then I just added the ghost and the pumpkin. And this s my finished card. This is all from me for today. Don't forget to check the store where you can find all the new dies for 25 % off. 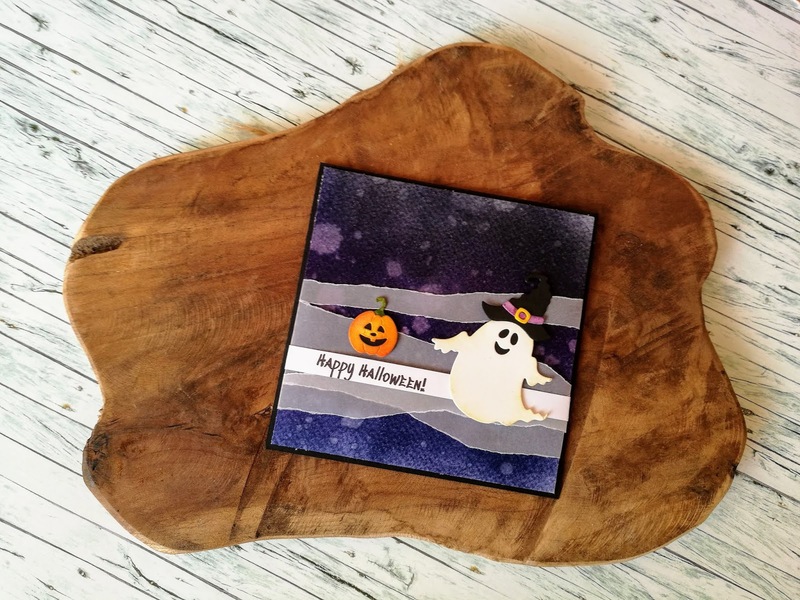 I love Halloween cards, and this one is so cute. 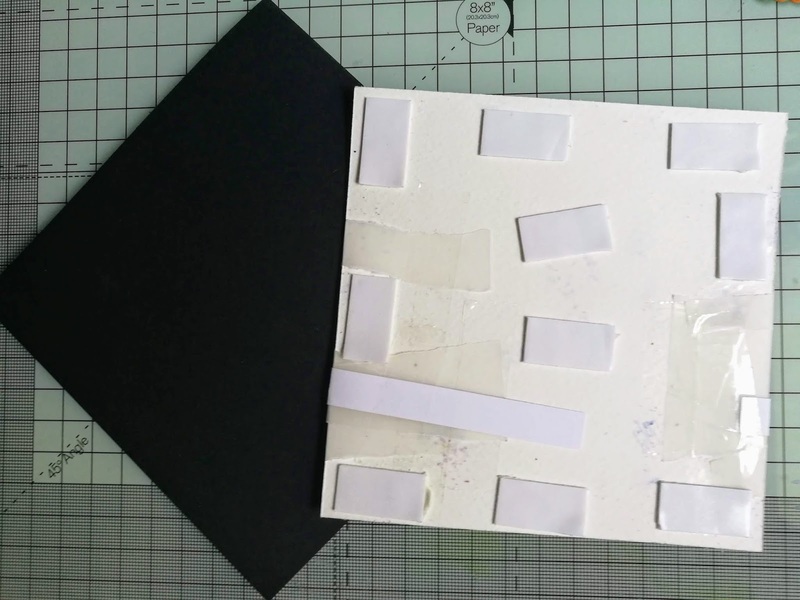 Your background is great, and the way you used the vellum strips was very creative! Love the deep dark spooky background perfect for a Halloween card! Super cute! 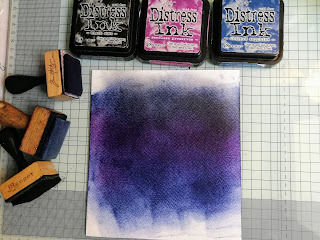 I always love the backgrounds you create with the distress inks- this one does have a definite Halloween night look - and using the vellum strips- creative idea! 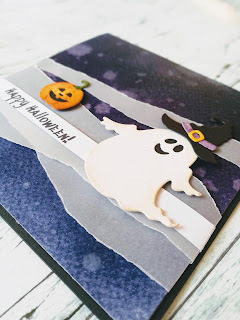 Gorgeous Halloween card! 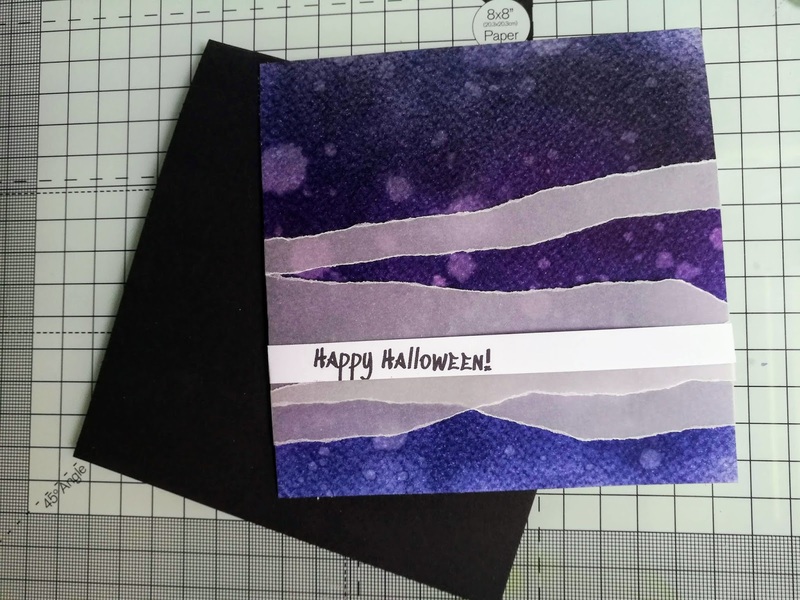 I love how you created the background, the addition of the vellum strips looks amazing! 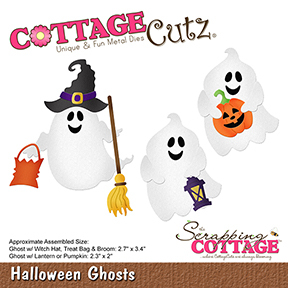 So spooky cute! This is so cute Anja! 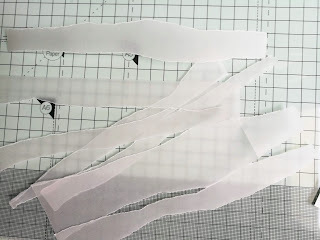 I love how you created the "mist" from velum.